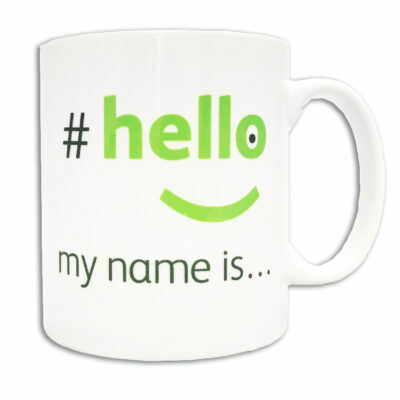 Official #hellomynameis… fully branded mug, as endorsed by Chris Pointon – co founder of the #hellomynameis… campaign. 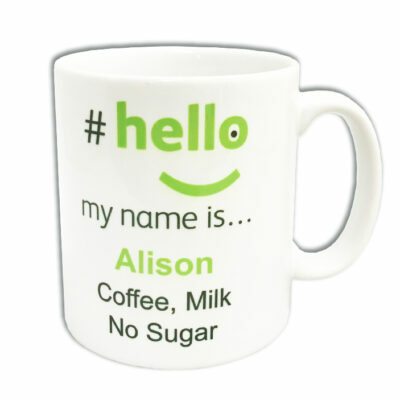 Bright white mug featuring the classic green hello my name is branding wrapped centrally around the mug. 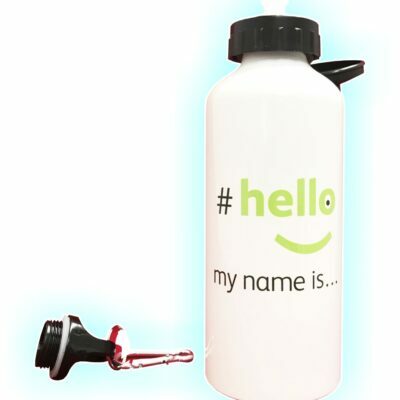 £1 Donated to the Leeds Cares Charity formally know as Yorkshire Cancer Centre for each mug sold. 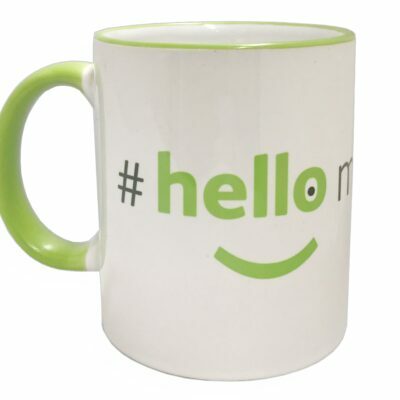 Show your support for Hello My Name Is with an official mug of the campaign as endorsed by Chris Pointon. 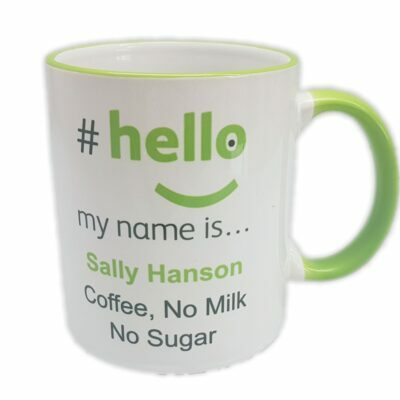 10oz White Mug featuring full colour wrap-around #hellomynameis branding. 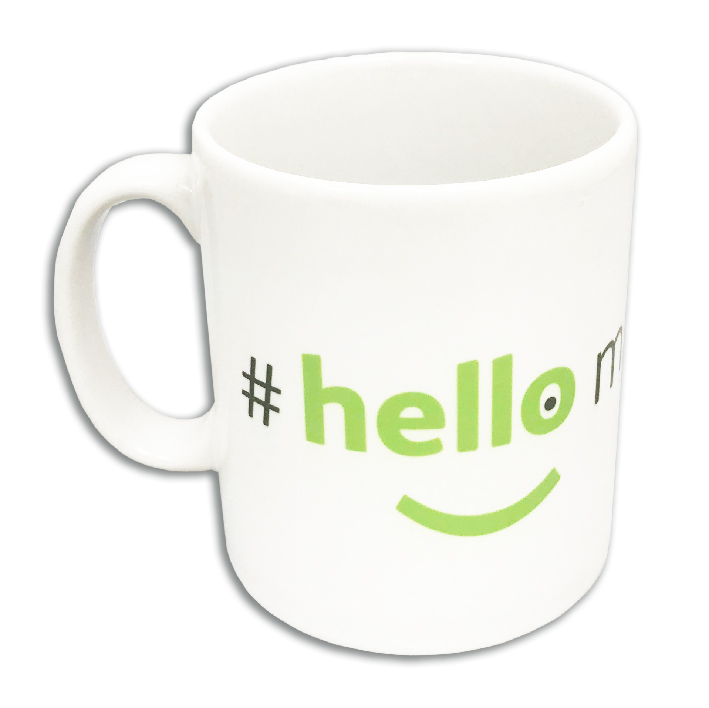 We donate £1 to the Leeds Cares Charity formally know as Yorkshire Cancer Centre for each mug sold.